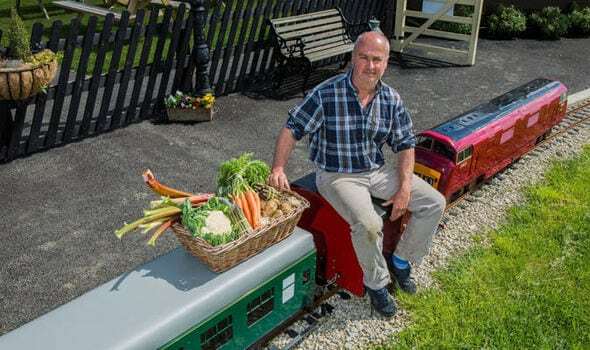 Karl Avison, 54, has put farming back on track by revving-up his electric train around a 600m trail around his farm. 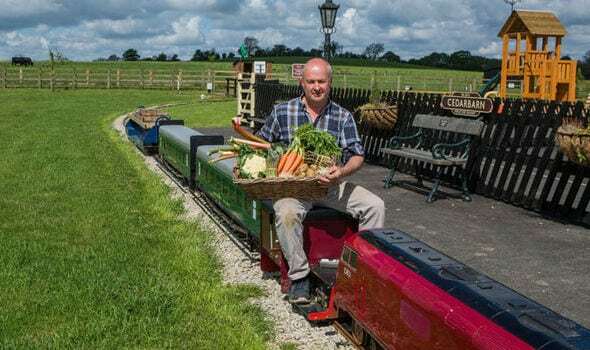 As well as the machinery helping Karl collect vegetables and fruit from fields – it also allows visitors to the site to climb aboard and pick out their own food. The food goes on sale at Cedarbarn Farmshop near Pickering, North Yorks.,, and is also used to make dishes for its restaurant. 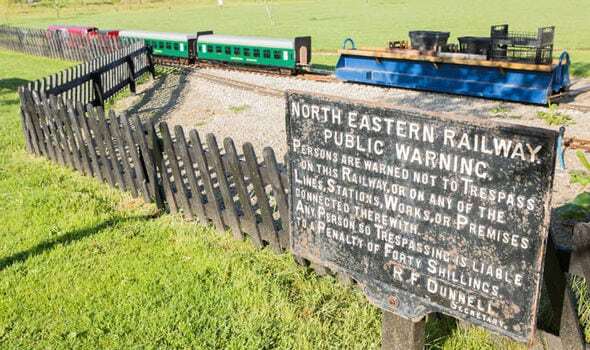 Mr Avison, who has been a farmer since he can remember, said: “It was just an idea I had, it’s different and the youngsters who come and see it really do love it. Mr Avison, who has been a farmer since he can remember, said: “It was just an idea I had, it’s different and the youngsters who come and see it really do love it. “We have a self-pick system because we found that sometimes the public is too lazy to go picking themselves, so we made this train to go further into the farm.